The focus of Community Oriented Policing is problem solving. POLICE WILL STILL RESPOND TO EMERGENCIES. However, many calls to the police are not police related and are more effectively handled by other agencies. As the number of non-emergency calls decrease, benefits to citizens increase. Officers are able to spend more time working with citizens to solve crime and disorder problems. With better police-citizen communication, officers can more effectively use and share crime information with the public. Officers who know both a community's problems and its residents can link people with other public and private agencies that can help solve community concerns. No single agency can solve complex social problems alone. A combined community-police effort restores the safety of our neighborhoods and business districts. 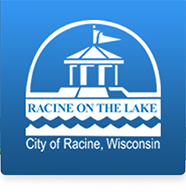 In 1996 the city of Racine Police Department embraced the idea community policing. Rather than saturating a high crime area with officers they took a new approach, they moved in, literally. With the help of some State funding and a partnership with the Racine Community Outpost they were able to either purchase and rehab older homes in the area or in some cases build them new. The idea was to set an example for the neighborhood. The COP Houses have often lead to an improvement with property maintenance, reduced crime rates, better community relationships between neighbors, and the police. In some cases crime has been reduced by up to 70 percent, which is one of the primary criteria for where a COP house is located. Being assigned to a COP house is a sought after position. With only a few positions available among the over 200 sworn officers. Officers must demonstrate their communication and problem solving skills. The position is one that is labor intensive requiring long hours but is also rewarding as the officer can focus on helping the neighborhood surrounding and seeing the difference they make in the community every day. The COP houses also offer more than just a Police Department Outpost, providing a positive and structured environment focused on learning. The police department provides the classroom and a computer lab, while the program provides everything from help with homework to arts and crafts. Volunteers provide their time to the program and the kids. Some houses offer specialized programs based on their neighborhoods unique needs.